The definitive, chronological, and up-to-date guide on collecting Secret Warriors and Secret Avengers comic books via omnibuses and trade paperback graphic novels. A part of Crushing Krisis’s Collecting Avengers Graphic Novels: A Definitive Guide. Last updated October 2018 with titles scheduled for release through April 2019. 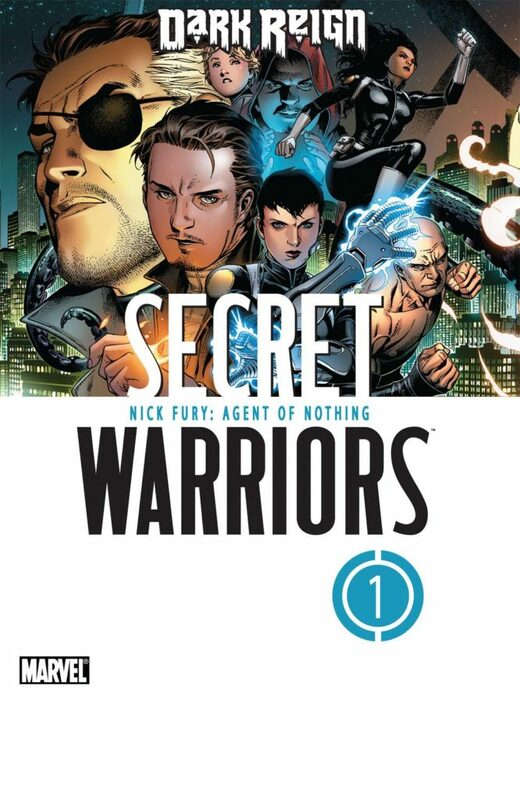 Secret Warriors was a rarity when it launched in 2009 – a brand new team book not relying on an existing name and from a creator not only new to Marvel, but new to comics in general! That creator behind the new title was Jonathan Hickman and the rest, as they say, is history. Jonathan Hickman became one of the most famous writers in comics in the span of just half a decade. Secret Warriors was the first building block of his extensive examination of Marvel’s secret history both on Earth and across the universe, tied together by Nick Fury and culminating in Secret Wars in 2015. While Secret Warriors was still running, Marvel spun off a new Avengers team at the top of The Heroic Age in fall 2010 called Secret Avengers. Though it had no direct connection to Secret Warriors, the theme was similar – as America’s top cop, Steve Rogers assembled a rotating strikeforce of covert Avengers to tackle the biggest mysteries and threats. 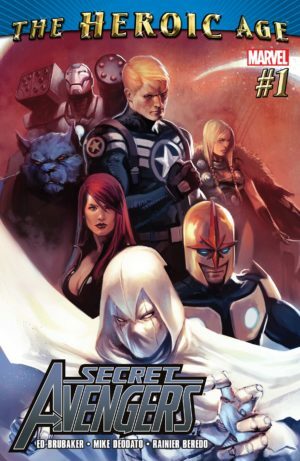 Secret Warriors ended its run as a self-contained series, but the Secret Avengers branding stuck – the title would see additional volumes that collapsed the concepts of the two books, with SHIELD running the secret team of Avengers. Both series bear a strong resemblance to the television show Marvel’s Agents of SHIELD – it has re-used many of Hickman’s concepts and characters from Secret Warriors. Secret Warriors was initially a spinoff of Secret Invasion. In a world where Nick Fury couldn’t trust any hero not to be a Hydra mole or a Skrull, his only hope was to activate a sleeper cell of other super-powered people who had mostly flown under the radar. His running an independent team brought him into conflict with Norman Osborne and his Dark Avengers. Collects the complete Secret Warriors story from Mighty Avengers #13 & 18; Secret Warriors #1-28; Dark Reign: The List – Secret Warriors; Siege: Secret Warriors; and Dark Reign: New Nation. 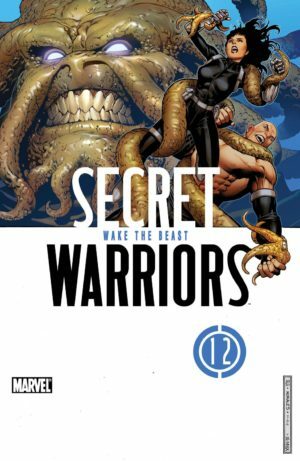 Also collects Dark Reign: The List – Secret Warriors. Available in hardcover. Also collects Siege: Secret Warriors. Available in hardcover. Steve Rogers’ covert strikeforce are the first Avengers with a blanket authorization to use deadly force, anchored by an unlikely (and unstealthy) squad of War Marchine, Valkyrie, Ant-Man, and Beast. This title has been authored by half of Marvel’s hottest writers – Ed Brubaker, Warren Ellis, and now Rick Remender! This is effectively a 12.x mini-series for Secret Avengers team. It was never released in paperback. Also includes #12.1 and Fear Itself: Black Widow. Available in hardcover (ISBN 078515177X). Issue #12.1 is also collected in Marvel Point One, Vol. 1. See Marvel Universe Events for more information on Fear Itself. Fan beloved scripter Rick Remender (Uncanny X-Force, Venom, Punisher) takes the reigns of the team, adding Captain Britan to the roster. Available in hardcover. Contains Avengers vs. X-Men tie-in issues #26-28 – see Marvel Universe Events for more information. Available in hardcover. 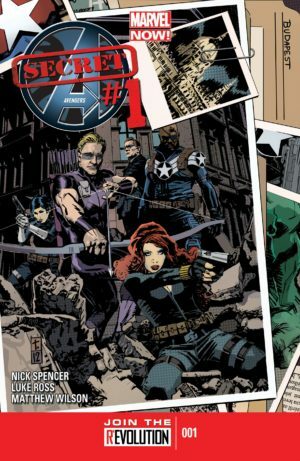 Nick Spencer’s new SHIELD-based take on Secret Avengers brings a new concept to the book – that the team is so secret that they can’t even be allowed to remember their missions! The initial arc included a team of Nick Fury, Hawkeye, Black Widow, Hulk, Mockingbird, Taskmaster, a new Iron Patriot, and more! Also includes a story from Marvel Now! Point One. Issue #1 is also collected in Marvel Now! Omnibus. Issues #10-11 tied in to Infinity; see Marvel Universe Events for other collection options and more information. A 2014 relaunch with Ales Kot (who had been co-plotting with Spencer) at the helm dropped Mockingbird brought Spider-Woman into the mix along with MODOK and Deadpool. This was a much funnier run on the comic, with some far-out concepts driving the plot. Also collects Original Sin: Secret Avengers (Infinite Comic) (2014) #1-2. See Marvel Universe Events for more information on Original Sin. Marvel resurrects the Secret Warriors brand in 2017 to bring together its young Inhuman characters like Ms. Marvel, Moon Girl, and the cast of Inhuman into an anti-Hydra team during the Secret Empire event while the Inhuman Royal family set off for space in their own title, Royals. It also featured a handful of mutants, including Magik. See Marvel Universe Events for more information on Secret Empire. I’ve personally confirmed this issue range – some solicits were incorrect! Check Amazon for Marvel’s newest Secret Warriors or Secret Avengers titles.